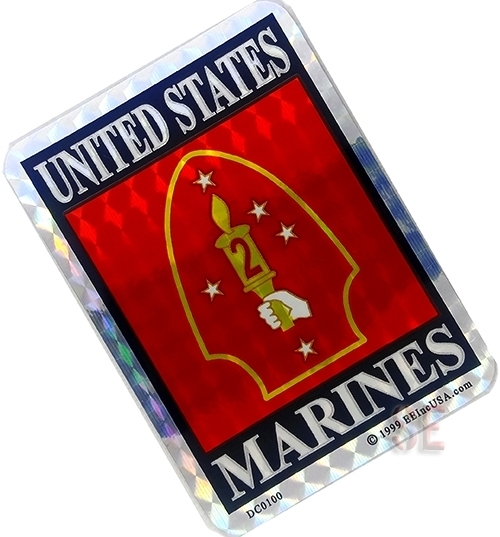 USMC Marine Corps Decal Sticker 2nd Mar Div UNITED STATES MARINES Prism 3 7/8"
Water, sun and car wash resistant. Warning. May peel paint when removed. U.S. VETERAN Bumper Sticker DEFENDER OF LIBERTY – SERVED PROUDLY Vinyl 9" x3"